Photo: Hyderabad Metro Rail Limited. 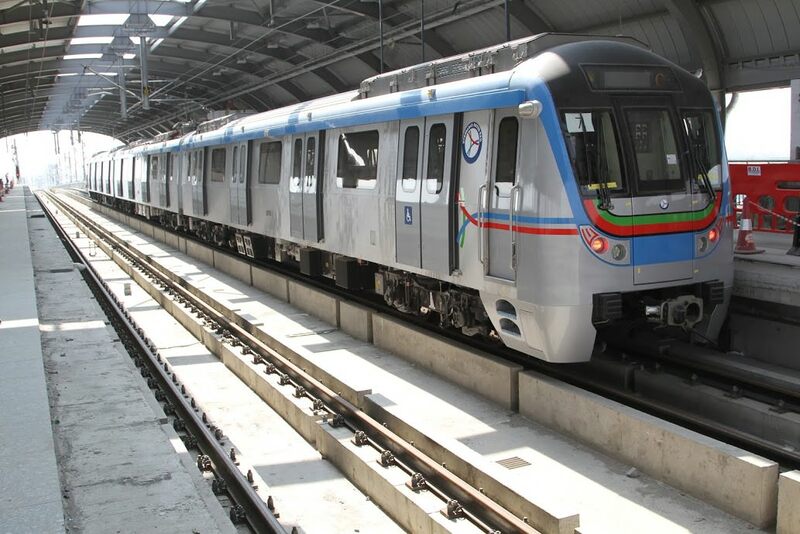 Construction work on the first phase of the Hyderabad Metro network is expected to be completed by October 15. The organisations delivering the new network have said work is progressing to schedule and they hope to receive certification from the Commissioner of Metro Rail Safety (CMRS) for the 30km Nagole-Ameerpet and Ameerpet-Miyapur section by November 15. The announcement was made following a visit to one of the work sites by NVS Reddy, managing director or Hyderabad Metro Rail Limited, and Shivanand Nimbargi, managing director of L&T Metro Rail Hyderabad. Their visit was organised to view the progress of track works on the 1,100-tonne Oliphant bridge – one of the biggest structures to be installed as part of the metro project. The Hyderabad Metro Rail Project is described as one of the largest public-private partnership (PPP) metro schemes in the world. The full network will cover 72 km and include three corridors: Miyapur-LB Nagar, JBS-Falaknuma and Nagole-Shilparamam.